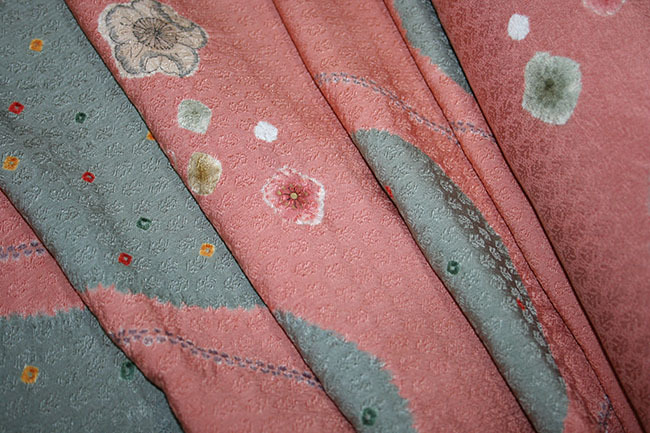 Kimoyes item: 21566 - Deep salmon and sage green coloured kimono silk with shibori design. Deep salmon and sage green coloured kimono silk with shibori design. This gorgeous soft silk also has a tiny all over woven pattern. Lovely drape and reversible. This is a very luxurious fabric.